Libraries need to protect patron data as they turn high-tech. Who Is in Control of Your Library’s Data? As they turn high-tech, libraries need to protect patrons’ information. The prospect of a bookless library seems bizarre and sacrilegious to some. At the 1962 World’s Fair in Seattle, the American Library Association staged “Library 21,” featuring a wall-to-wall UNIVAC computer that assisted a librarian in answering queries submitted by fairgoers. The exhibit presaged the anxiety felt in the library community today: Computers are better stewards of information than librarians. Today, some libraries are (unsuccessfully?) advocating for a bookless future. To many, that prospect seems bizarre, even sacrilegious. But hand-wringing over this possible change detracts from a more important question about the future of libraries: From accessing online card catalogs to viewing e-books, from reserving and using a computer terminal to receiving reading recommendations based on lending habits, patrons transmit potentially sensitive digital information to and through libraries’ information infrastructures. So how are libraries ensuring the integrity and inclusiveness of data flows that are managed or mediated by the institution? The surest path forward seems to depend on prioritizing digital inclusion while baking privacy protection into every aspect of the library’s nervous system. Sure, books are important. But they were not always open and accessible to all populations. The so-called Age of Enlightenment in Europe was rooted in a merchant middle class acquiring books, forming literary salons, and amassing personal libraries—a counterweight to controlling monarchies. However, the print revolution did not bring equality per se. The people who served and quite literally slaved under the merchant class had little chance at accessing knowledge in those books and libraries and experiencing democracy in any real way. At best, for an individual at the bottom of the pyramid in 17th- or 18th-century Europe, one’s closest interaction with books might have been dusting them and the mahogany shelves they were housed in. In today’s world, the prevailing wisdom surrounding the digital revolution reeks of Enlightenment-era presumption. Everyone has a smartphone or a mobile device. Anyone can get online. You can get anything you need—books or otherwise—in one swipe, click, or depression of an “enter” button. The digital revolution is bringing democracy to all. In reality, the closest that some people will get to being digitally included are the surveillance cameras found on every street corner, in convenience stores, on police officers, at school, and at work. Or it’ll be in the stocking of ear buds, protective sleeves, and other device peripherals in the consumer-electronics store where one works an underpaid part-time job. That’s not to say that people at the bottom of today’s pyramid don’t own or access any digital technologies. But technology access is only one part of the equation in an inclusive digital society. Over and again, research shows that members of marginalized communities need libraries to help make digital knowledge accessible. Today, even in the face of shrinking budgets and the closure of the federally mandated Broadband Technology Opportunities Program, many libraries remain committed to ensuring the inclusiveness of data flows. In Philadelphia, for example, the Free Library’s Techmobile functions as a traveling digital literacy triage center, and the library serves as a critical node in the KEYSPOT network of public computer centers, which provides frontline technical and social support to the city’s most vulnerable populations. Prioritizing digital inclusion also means ensuring the integrity of data flows and helping patrons—especially members of the library’s most vulnerable patrons—guard against harmful or inappropriate uses of digital information patrons produce or share. Unfortunately, early computer enthusiasts in the library community overlooked the issue of integrity. The 1962 exhibit was symbolic of the library field’s overall eagerness to “go digital.” Back then, library innovation meant incorporating automated technologies that would assist the library in organizing its card catalog, circulation records, and other workplace management systems so as to better serve its patron community. In other words, innovation was themed in terms of how efficiently the library would be run. And amid this enthusiasm, library advocates neglected the idea that Eckert-Mauchly Computer Corporation (creators of UNIVAC), IBM, or other companies might influence the nature of access to information or the ways in which data flows within and between library walls. Today, the computerization of the library’s management systems is nearly complete, raising the specter of exclusivity and restrictiveness. Libraries—once the site of invention for the classification of information—have become consumers of information services and data management products. They contract with a variety of vendors who sell e-book services, journals databases, checkout kiosks, interactive catalogues, circulation records systems, computer reservation systems, and more. Libraries purchase business management software to set up integrated library systems that provide back-end support to the institutions’ myriad databases. And of course, they rely on third-party services to set up and run public computers and provide access to the Internet. How data flows and subsequently how patrons, not to mention staff, are able to access, store, and share information depends on third-party systems contracted by the library. And this dependency means third parties shape the conditions under which data flowing in and out of libraries is used, exploited, or exposed. Third parties set the terms of controls or protections, and that can lead to situations where patron data is used against users’ wishes or knowledge. That was precisely the case last year, when Nate Hoffelder, founder of the Digital Reader, discovered one of Adobe’s e-reader apps spying on users and sending e-reading data back to Adobe servers. 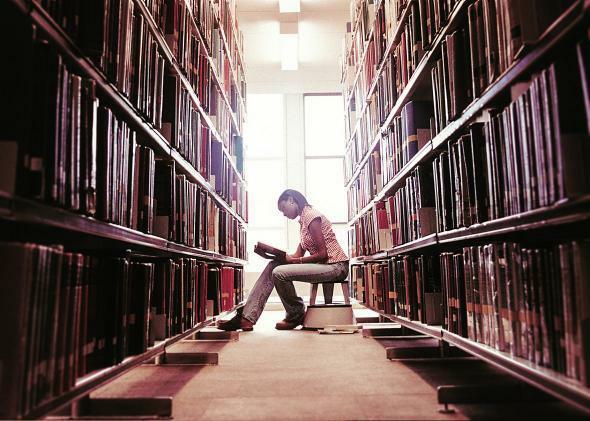 The extent of libraries’ reliance on third-party services raises the question of survival. A library that is no longer in control of how its data is managed creates a false sense of safety for its patrons. A library that cannot preserve the integrity of data flows within and between its walls imperils the trust that patrons have for this long-standing institution. Fortunately, not all libraries are passively accepting their new consumer-centered role. At Brooklyn Public Library, the Data Privacy Project is drawing attention to the ways in which library dependency on third parties affects the sanctity of patron data flows and patrons’ expectations and experiences. The project, which is funded by a grant from the Institute of Museum and Library Services, introduces BPL staff to the basics about which actors determine how information flows in the context of the library. It also teaches librarians about end-user and institutional-level tools and practices that strengthen the library’s ability to judge and more adequately handle information management. Eight months into the effort, staff feedback suggests this kind of effort has multiple benefits, both collective and individual. From improving staff’s awareness to informing and protecting the library’s most vulnerable and least digitally literate patrons, the project suggests a model that others might emulate. The project has helped the library explore how it can strengthen and sustain its role in providing access to knowledge by all individuals. The library’s future? It’s not about books. Regardless of which medium prevails, the library’s path forward depends on the integrity and inclusiveness of data flows it manages and mediates.